The State of Louisiana is still in the process of recovering from the devastating floods that swept across the state in August 2016. One of the areas that were severely hit was Baton Rouge, which alone received a tremendous amount of rain in two days that it caused more than ten rivers to overflow. A federal disaster declaration was issued for over 20 parishes. Over 150,000 families have applied for assistance from the government. ACS has been in regular contact with Louisiana State, the Louisiana Voluntary Organizations Active in Disaster (VOAD), and FEMA, identifying the needs of the affected communities and coordinating relief efforts. It was found that the greatest unmet need was for kitchen kits to allow families to prepare, serve, and eat meals in their own homes. The ARK-LA Conference ACS Disaster Response Management Team, led by Lavida Whitson, coordinated the ACS response to this emergency with the support of ACS volunteers from several other conferences. 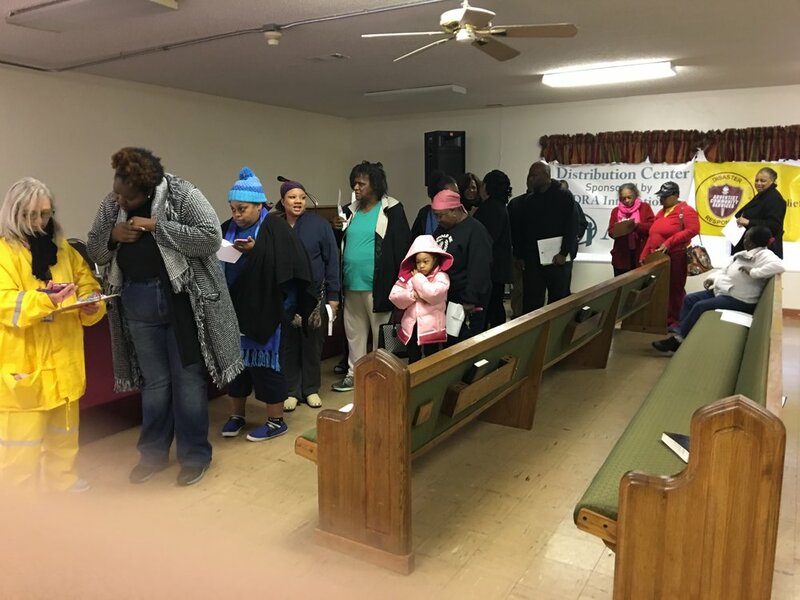 The needs of each family who applied for FEMA assistance were thoroughly evaluated, and resources were made available to them to assist in their recovery. ADRA provided the funds to purchase 450 kitchen kits; each kit was constituted of 83 pieces. The families who were eligible to receive the kits were scheduled for a distribution event in their corresponding parish. The kits were loaded into a truck and transported to the distribution sites, which had banners of ADRA and ACS hanging at each of the sites. They were then distributed by ACS teams to the designated families in the five most affected parishes. ACS-operated multi-agency warehouses were utilized to store the kitchen kits securely prior to distribution. Overall, this was a very successful project in assisting families in need following the flooding. Adventist Community Services appreciates the Grant funds provided by ADRA. This project would not have been possible without this assistance. We also would like to acknowledge all of the volunteers, workers, and staff of the Disaster Response Team for their continued dedicated efforts in the Recovery process.